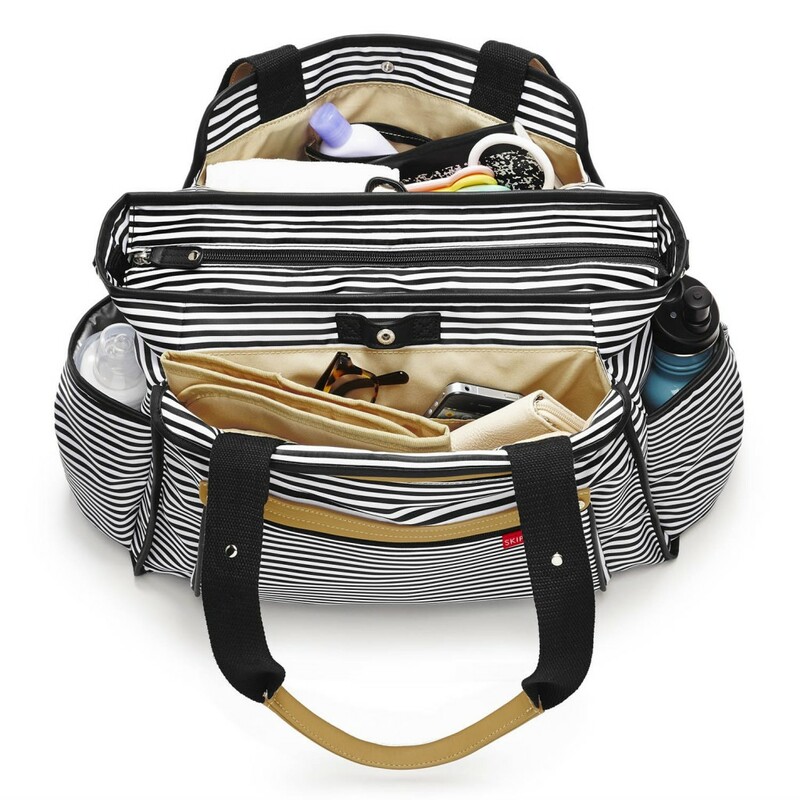 With an uncanny ability to hold more than you could imagine, the Grand Central ‘Take-it-All’ changing bag from Skip Hop allows you to do just that. 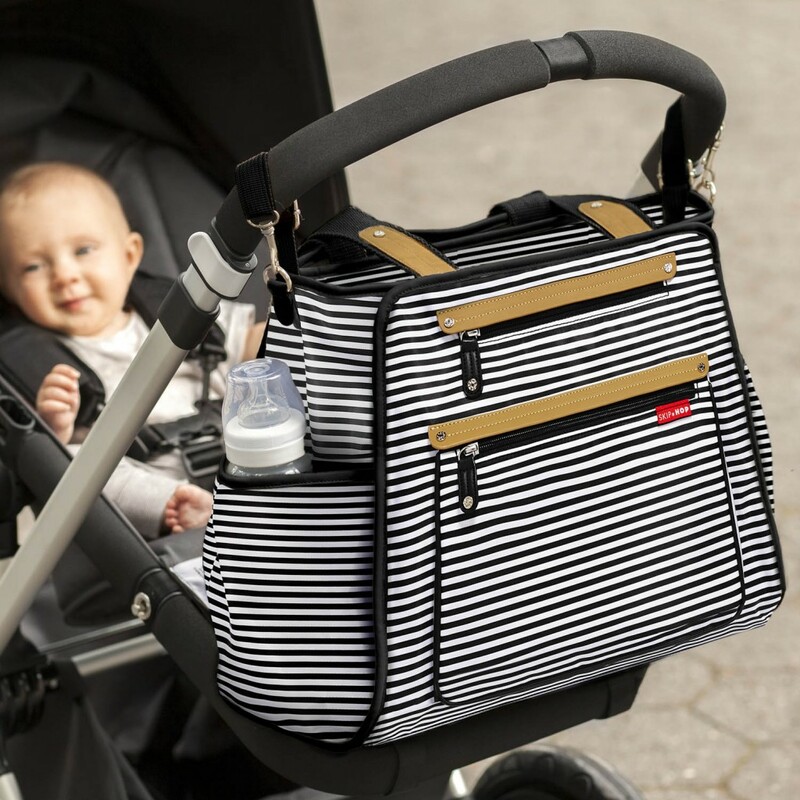 With 11 pockets in total which include 2 large exterior zip pockets and 2 insulated side pockets you’re sure to be able to fit in everything you need for a day out with baby. 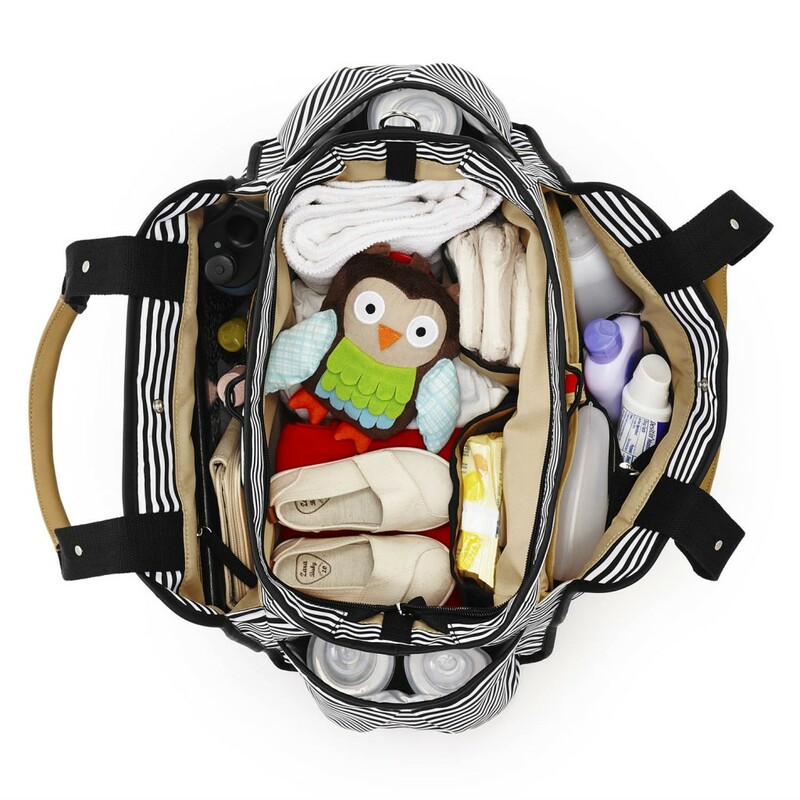 Keeping everything wonderfully organised, baby’s section includes a clear, wipe-clean zip pocket and a toy loop, whereas mummy’s section features a zip pocket phone pocket, cushioned changing mat and fleece-lined sunglasses pocket. 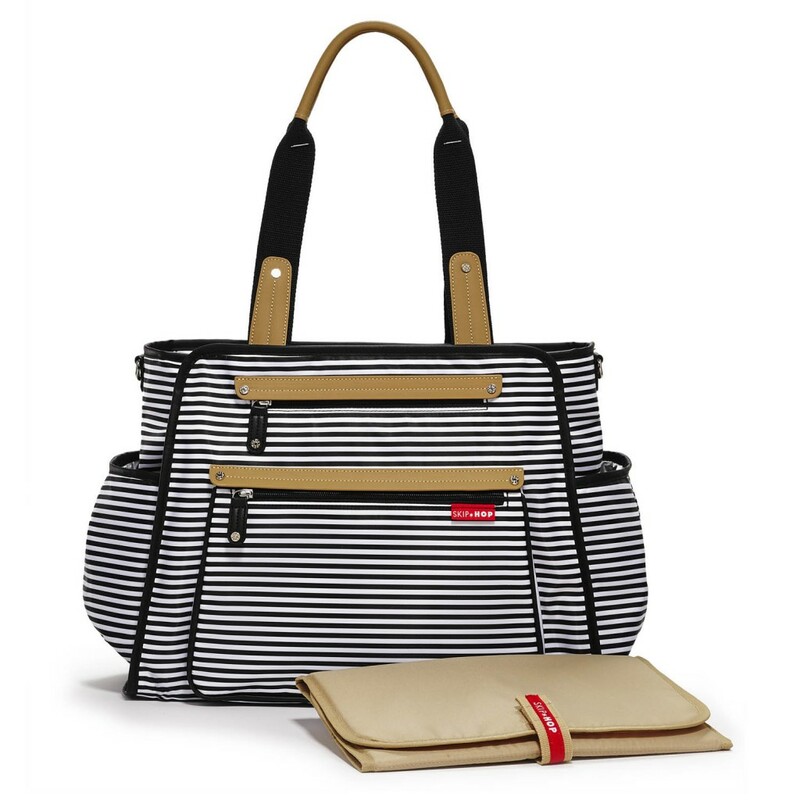 The bag is so sumptuously spacious, that it would also be great for use as a hospital / maternity bag for when baby is arriving or as a weekend-away bag too! 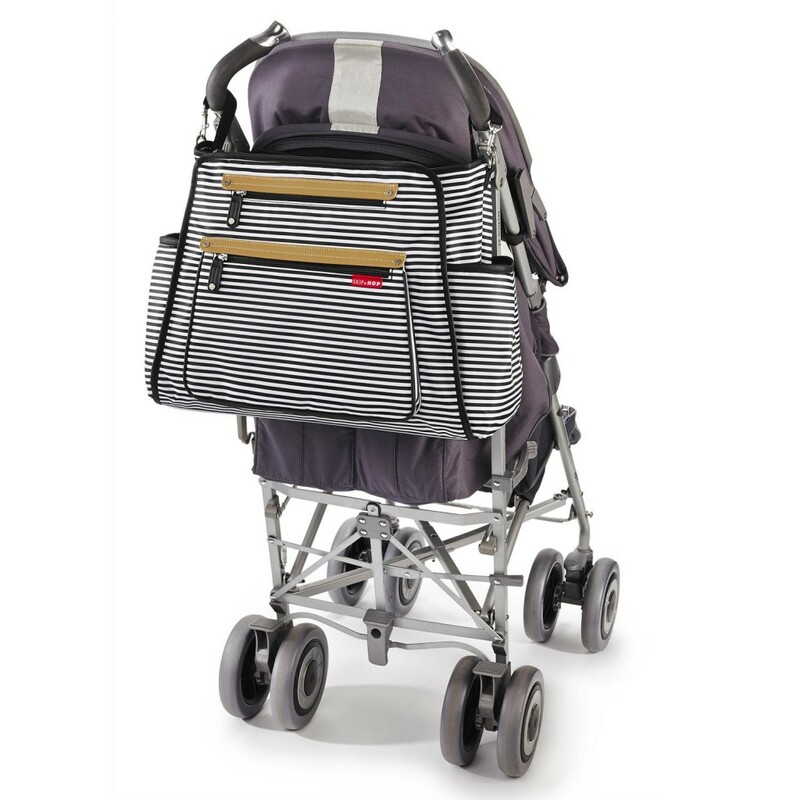 Grand Central - High on style, superb in storage!